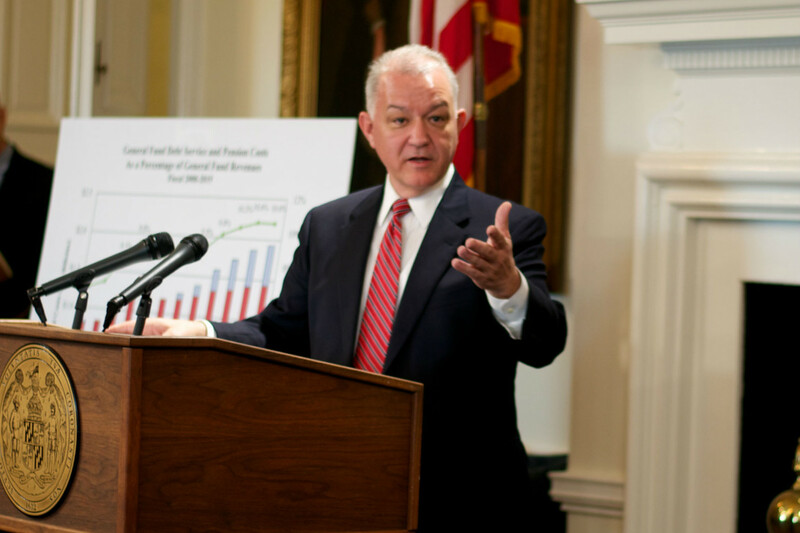 Delegates grilled Budget Secretary David Brinkley on Tuesday, asking him to justify Gov. Larry Hogan’s plans to limit growth in school funding and curtail employee pay raises as they took up legislation that implements those decisions. Why do it all in the first year? asked Del. Terri Hill, D-Howard, rather than over two or three years. “The administration believes it can be done in one year,” Brinkley told the House Appropriations Committee and members of other committees in a hearing on the Budget Reconciliation and Financing Act. Del Jay Walker, D-Prince George’s County, wanted to know why the administration had decided “to take the drastic steps that you’ve taken” in reducing expected growth in school aid. Walker and other legislators describe Hogan’s school funding plans as “cuts” even though more than half the counties get slightly more money. Because of enrollment growth, Prince George’s, Montgomery and other counties are getting less money per pupil. Asked about the failure to give state employees a promised 2% pay raise, Brinkley said, “We don’t like it” but it was necessary. Gov. Hogan said last month he would also have liked to give state employees pay raises and provide more education funding, but the state couldn’t afford it. In an effort to find more money for schools and state employees, legislative staff is proposing a long-term reduction in payments into the pension system. The trustees of the state pension system and its actuary are not happy about the move. They held a special meeting Tuesday morning to discuss the plan, but took no official position other than reiterating their opposition to similar cuts in supplemental payments in last year’s budget. By switching payment methods, the state would save $60 million this year and $2 billion over the next 10 years. But in the following 13 years, it will cost the state $4.5 billion more for a net cost of $2.5 billion. On the conference call, actuary Brian Murphy of GRS said, “the contributions really are needed. The reduction in pension payments are partially based on double-digit investment returns the past two years. Trustees worry that poor investment returns in some years could jeopardize the pension funding if payments are cut.